The most dangerous and desirable man in all of England, Nikolas burns to possess Emma Stokehurst, but the proud, headstrong beauty is promised to another. Still, there are no limits to how far the wealthy, bitter exile will go to win her exquisite hand - though owning Emma's body, but not her love, will do nothing to fill the empty spaces in his heart. But Nikolas's destiny awaits him elsewhere, as passion's magic transports him to a different place - a land of splendor and romantic dreams. For only there can he experience true ecstasy in one remarkable woman's tender touch - achingly familiar yet gloriously new - and learn, at last, to love. I liked this book very much! 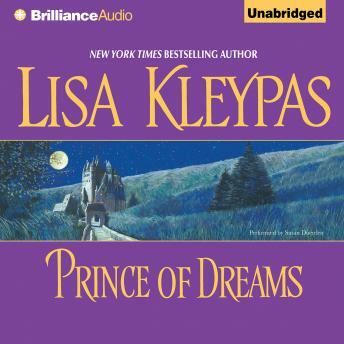 I love all of Lisa Kleypas books...I have read all but maybe 4 that are available here at audiobooks...I hope there will be more available soon.